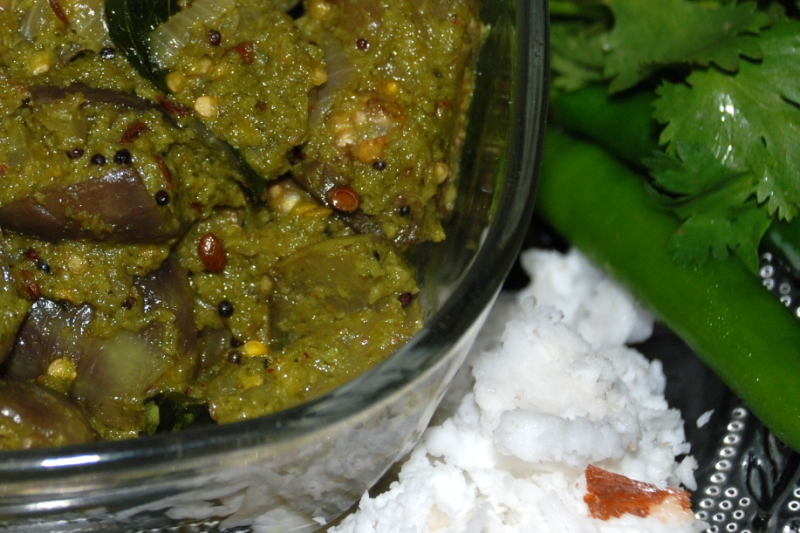 Grind green chillies, coconut and coriander leaves to make a fine paste. Heat oil in a kadai, splutter mustard seeds, jeera, curry leaves. Cook with the masalas till the vegetable is done.add a little water if required to cook. sneha its nice receipe. Tasty and not using red chilly Thanks and receipes like this to me.